A Mediterranean-inspired beachfront resort boasting a prime location on a long stretch of powder-soft beach. Style: Family Fun or Couples Retreat! Completely newly remodeled rooms with upgraded bedding amenities, and a Caribbean theme with tropical colors. Rooms offer a view of the pool and Caribbean sea. Completely upgraded bedding amenities with a Caribbean theme and tropical colors. 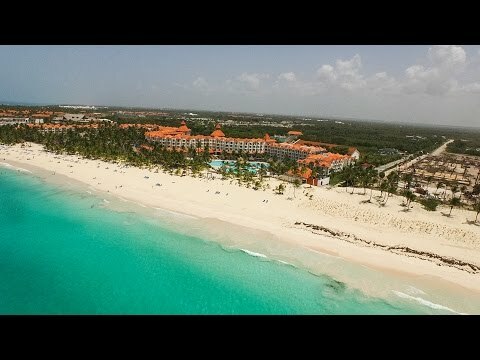 Located in Punta Cana, on the eastern coast of the Dominican Republic. Just 18 miles/ 29 kilometers from Punta Cana International airport in the beautiful area of Playa Arena Gorda, and 28 miles/ 45 kilometers from La Romana airport. The Occidental Caribe is an elegant Mediterranean-inspired beachfront resort boasting a prime location on a long stretch of powder-soft beach. Unwind and relax in your spacious comfortable and bright elegant rooms featuring king or double beds, air conditioning, mini-bar, cable TV, fully equipped bathroom, internet connection (fees apply) and much more. This beautifully resort offers something for everyone. While the spa presents a more relaxing menu of massages, facials and body treatments. Kids can have a great time at the Mini Club for children (ages 4 to 12 years), which includes fun and games in the sun as well as indoor activities. Celebrate your wedding in paradise: Occidental Caribe offers several wedding packages, for additional fees. Please contact Occidental Caribe to make all your arrangements.